Night of the Dragonfly is leaving my collection to hang at my close friend Carol’s cabin. This quilt is, and I’m guessing, about 15 years old. 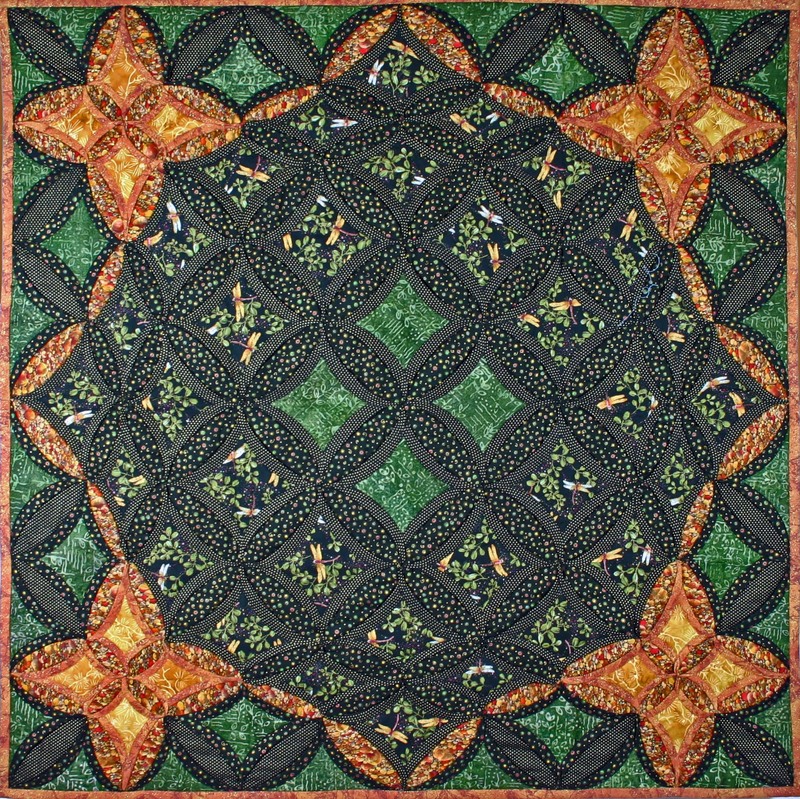 I made it around the time I wrote my two books, Machine Stitched Cathedral Windows and Machine Stitched Cathedral Stars. It represents the more complex range of my Cathedral Window technique and was never published. I told Carol that I wanted to photograph it so I could show if off before it didn’t live at my house anymore. 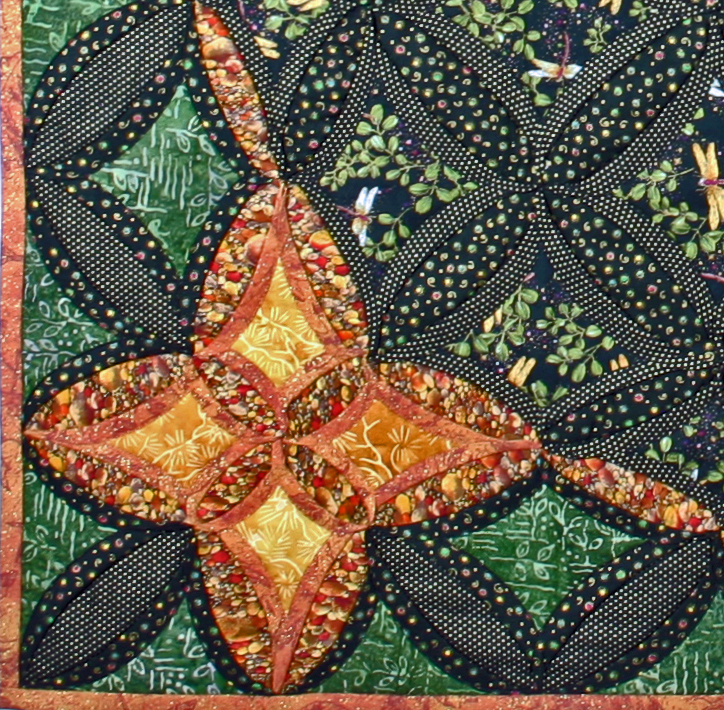 The Dragonfly fabric that I used is one of my all time favorite fabrics. Enjoy! 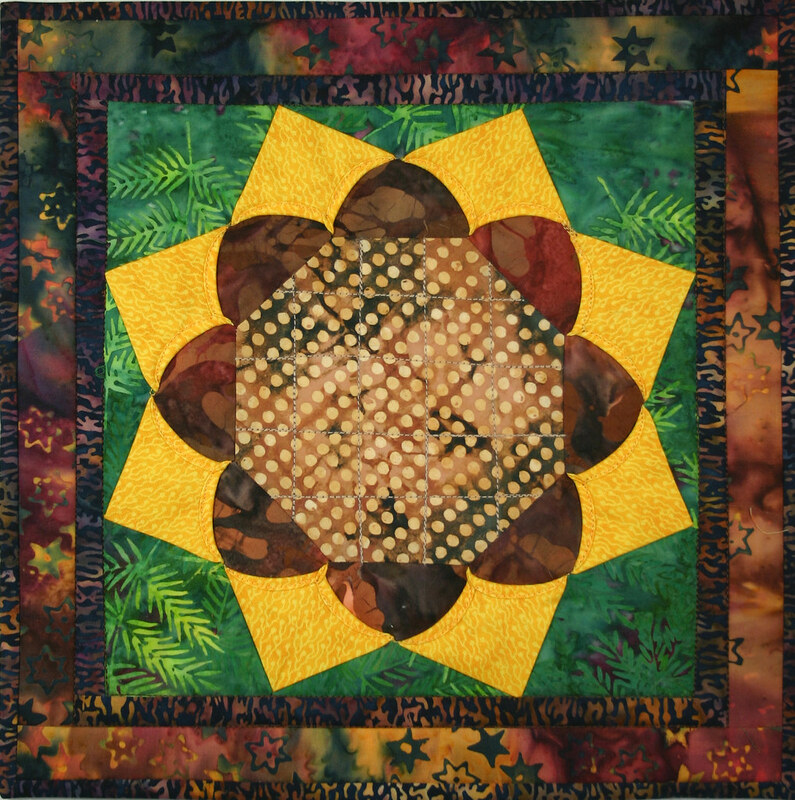 Summer is getting closer and to celebrate it’s coming I found this block in my UFO box and make it into this Tuesday’s Twilt, “Sunflower”. The petals of this completely template based design are three dimensional and only the inside folds are rolled. This was a fun Twilt to make. It uses 3D squares and 3D diamonds. The diamonds require a template but the rest of the piece uses squares and rectangles. 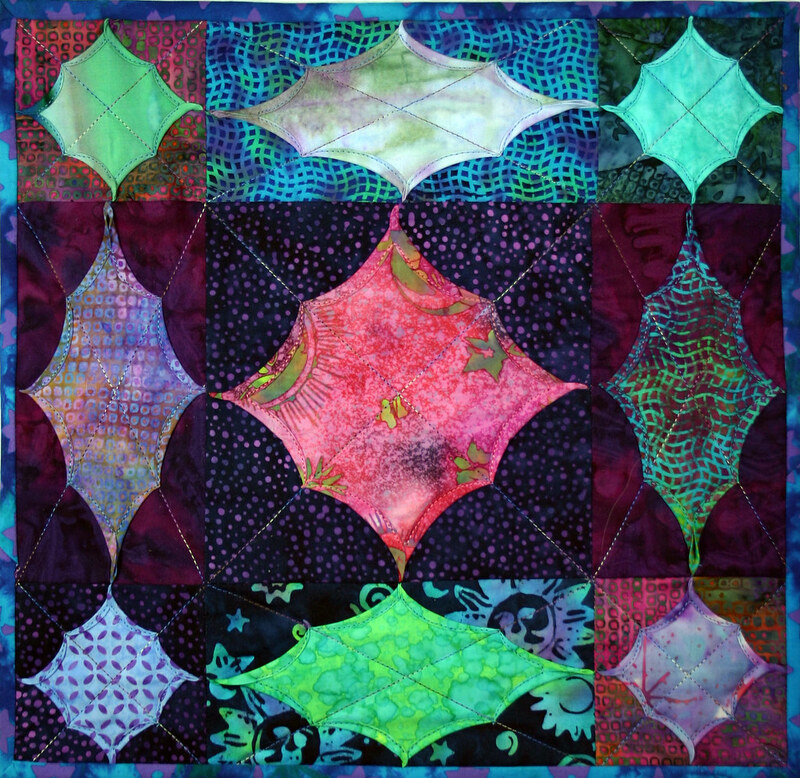 I finished, “Storm at Sea”, using the grid and scallop quilting variation. 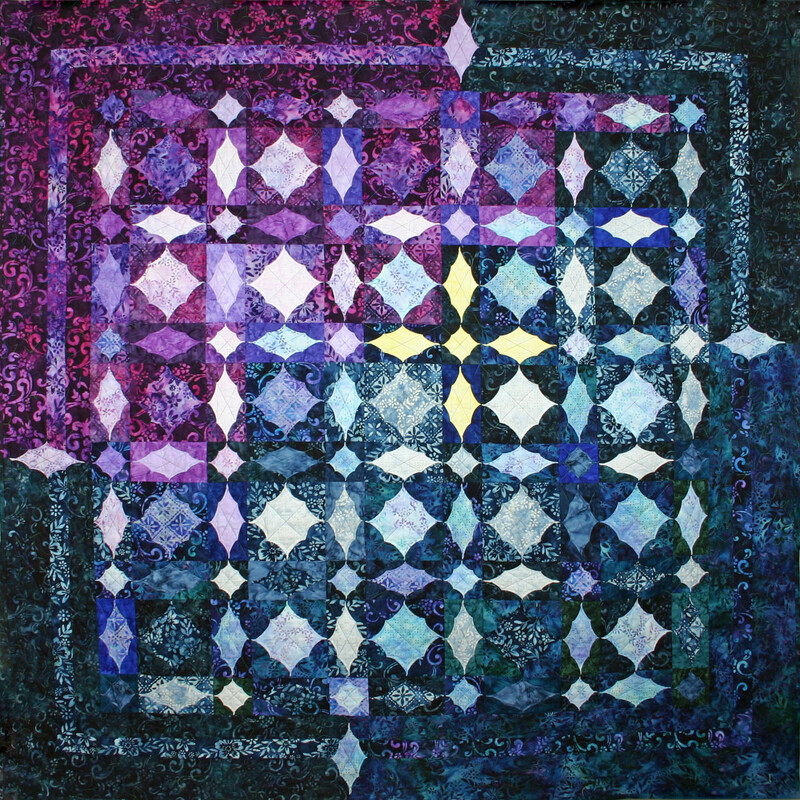 The quilt below uses the same blocks and hopefully will become a new pattern in the future. 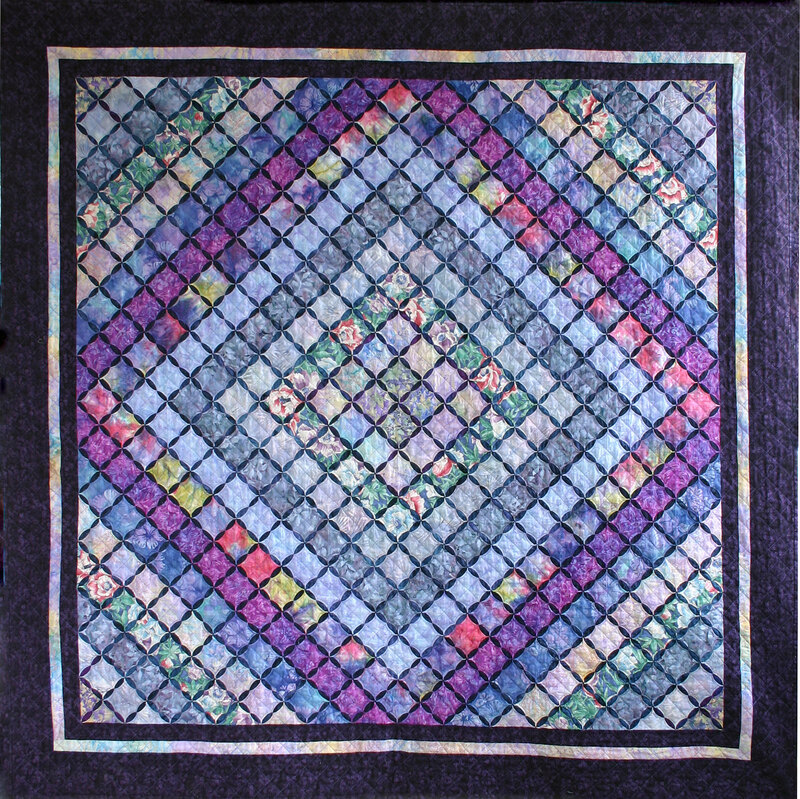 The block for this Tuesday’s Twilt, “Kitties Jubilee”, comes from my pattern Berries Jubilee. 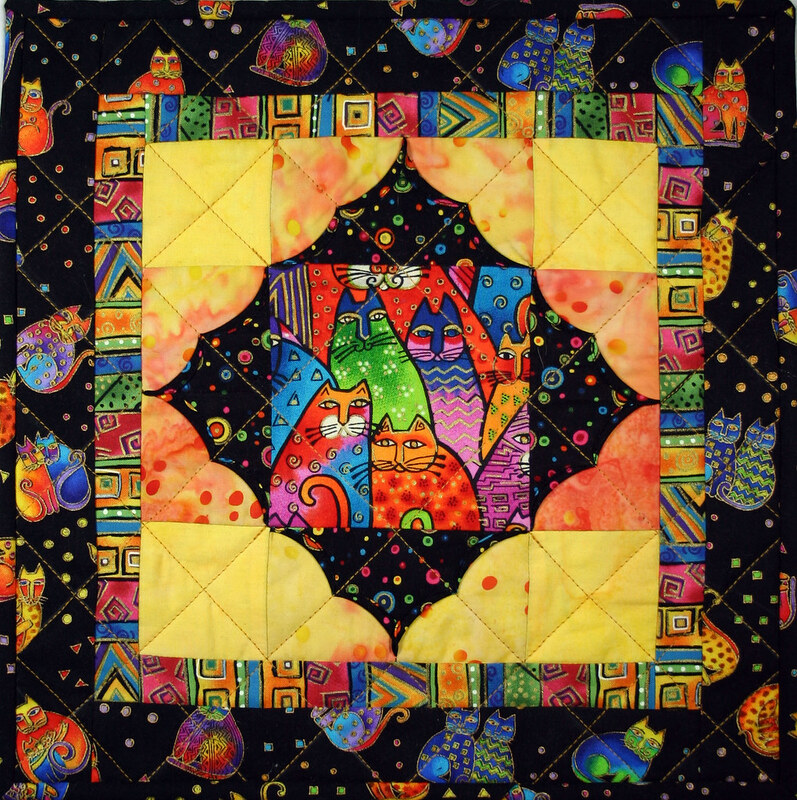 I used Laurel Burch fabrics for the inside block and the border.